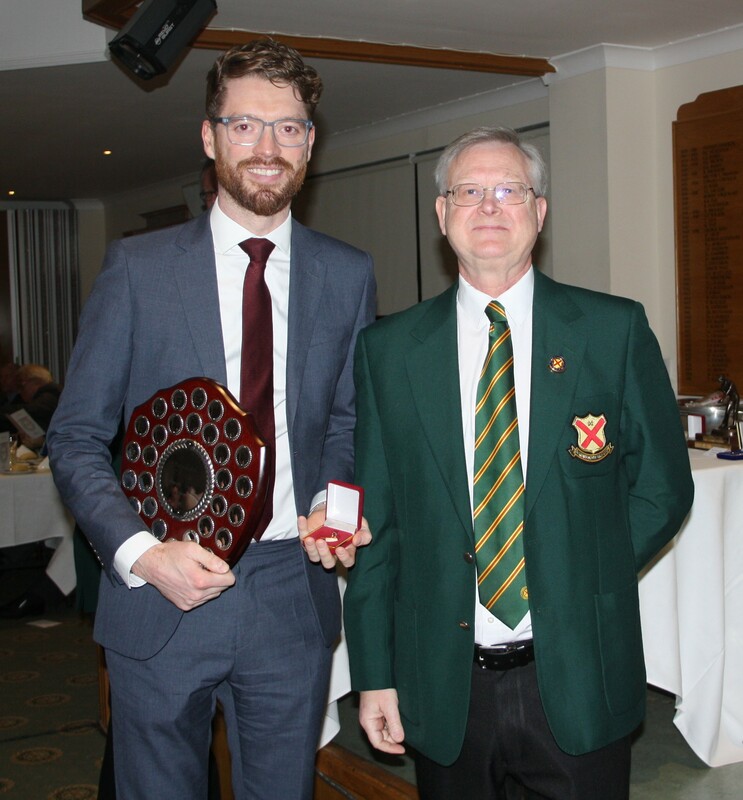 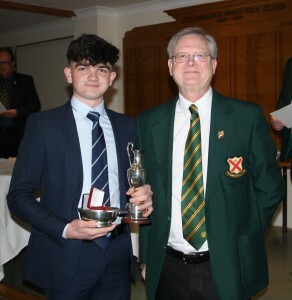 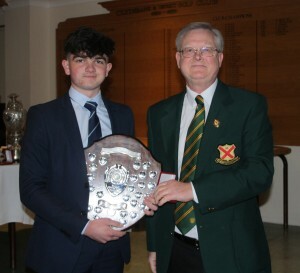 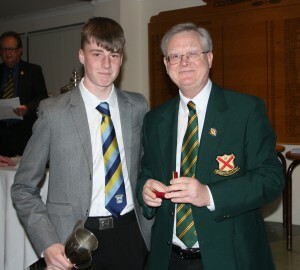 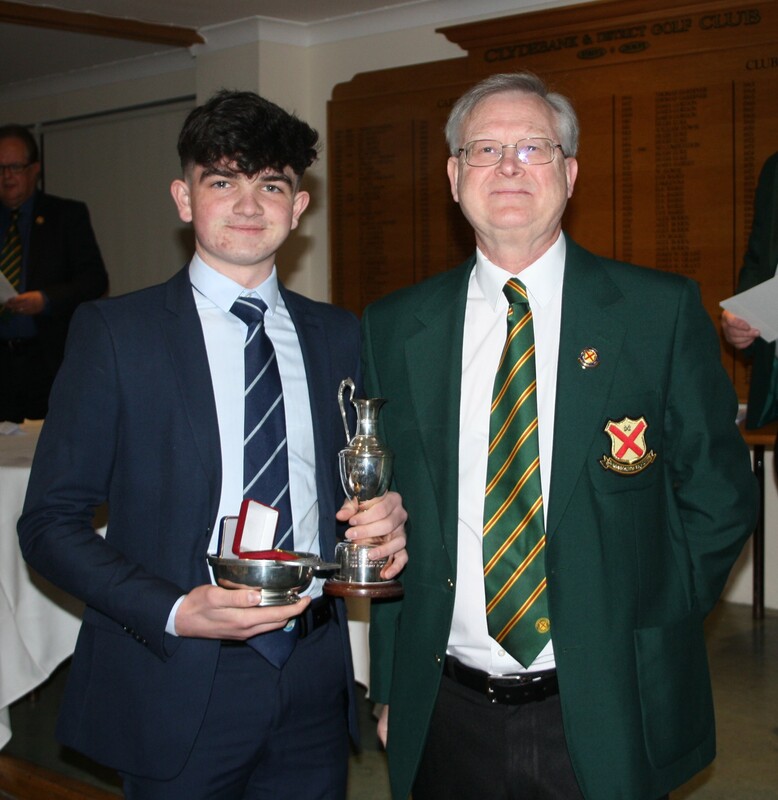 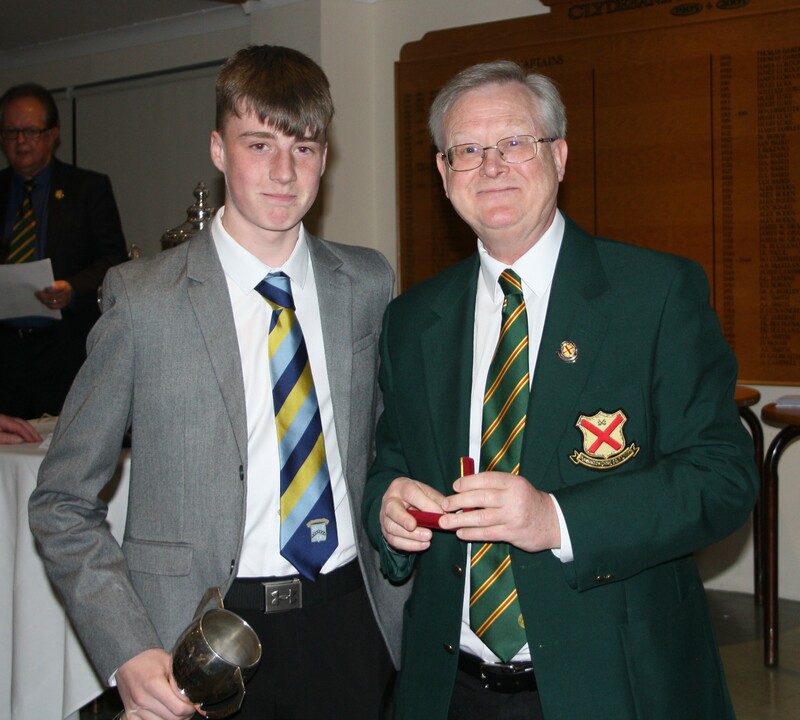 Prize winners at the Annual Dinner on the 15th March 2019 at Clydebank & District Golf Club. 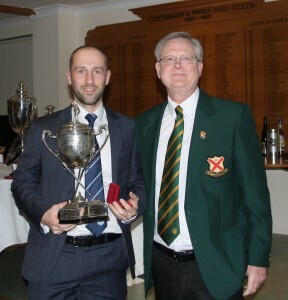 Trophies presented by DGU President Sam Bolton. 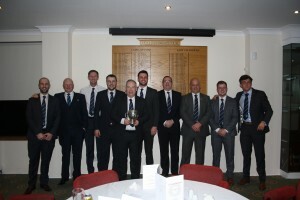 The McIntyre League winning team from Clydebank & District Golf Club. 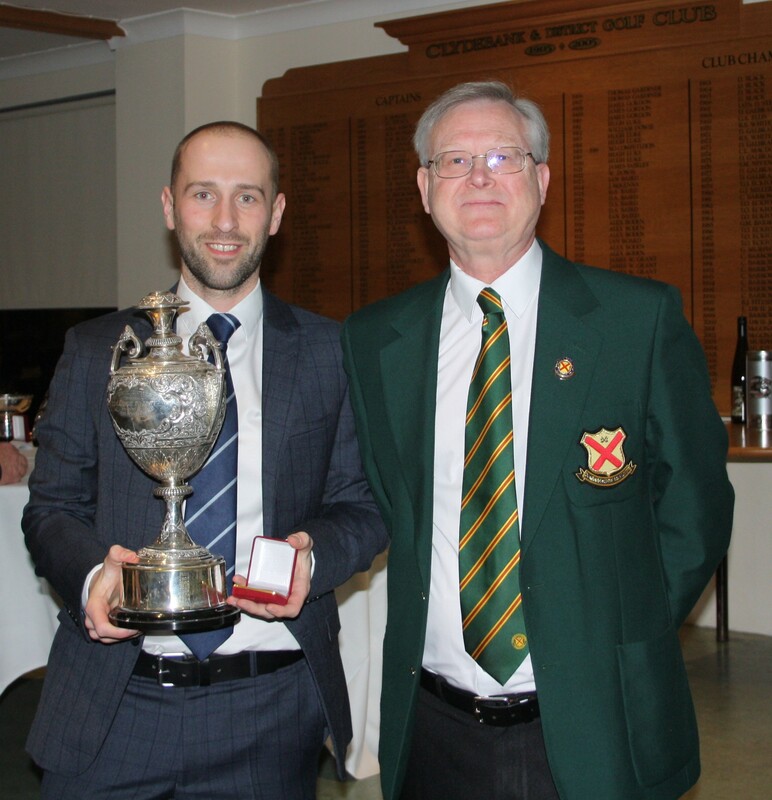 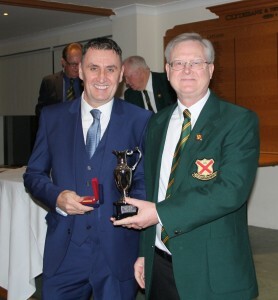 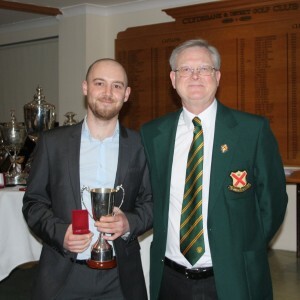 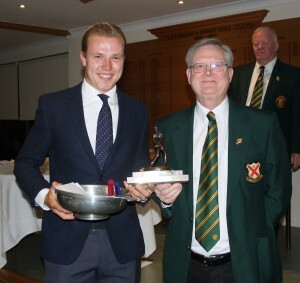 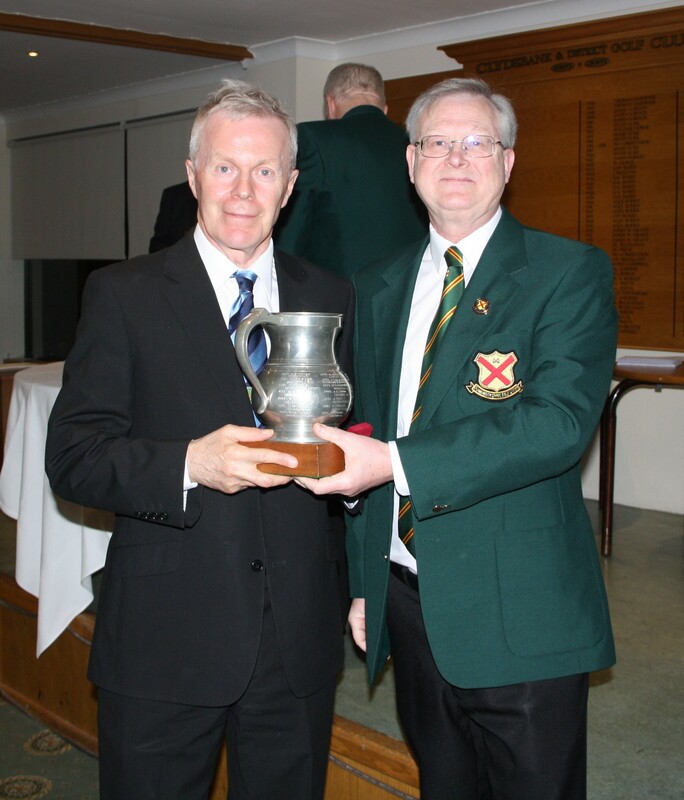 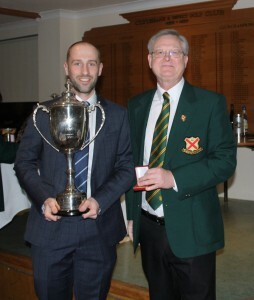 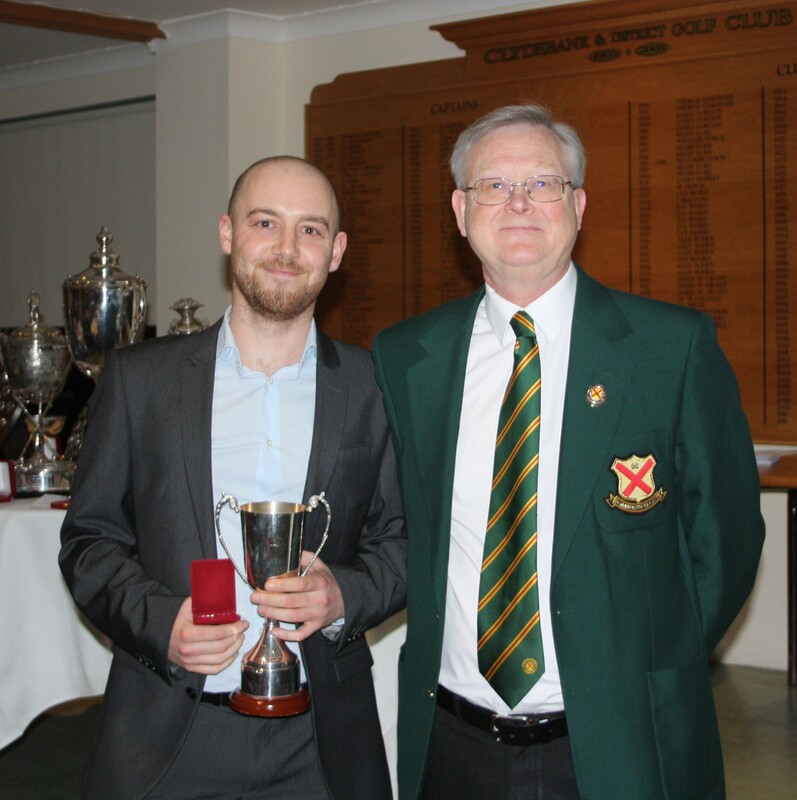 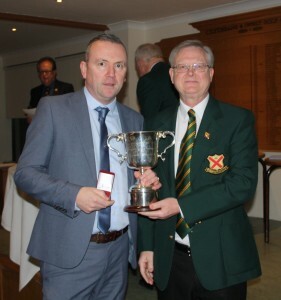 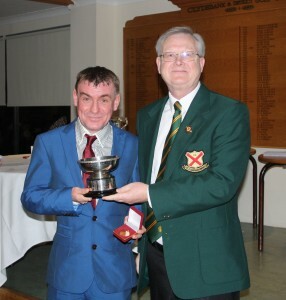 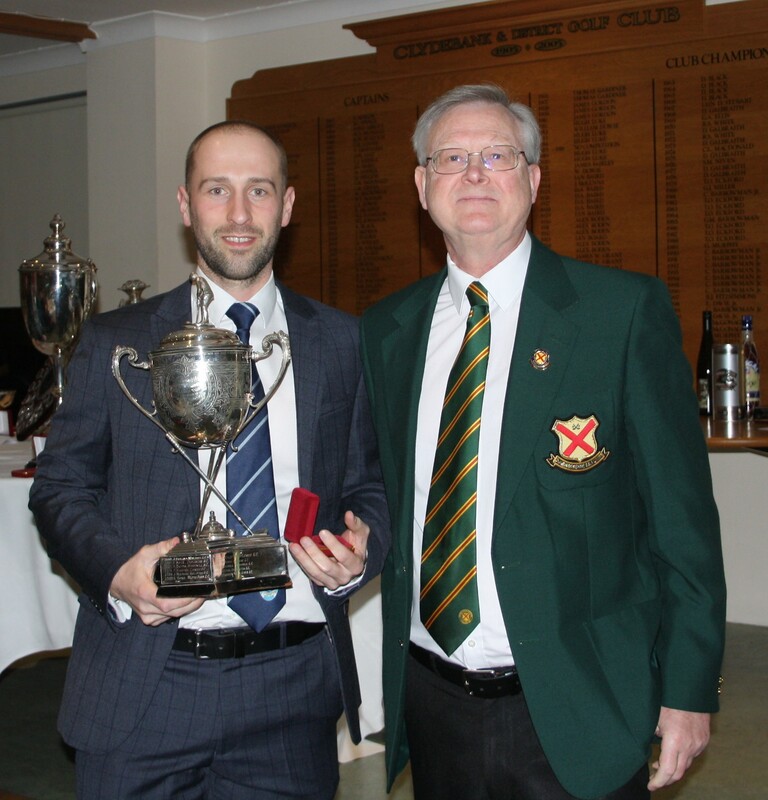 Champion of Champions – Alan Russell (Clydebank Overtoun). 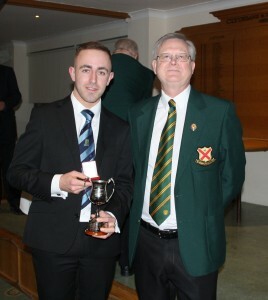 Trophy collected by Gavin Miller. 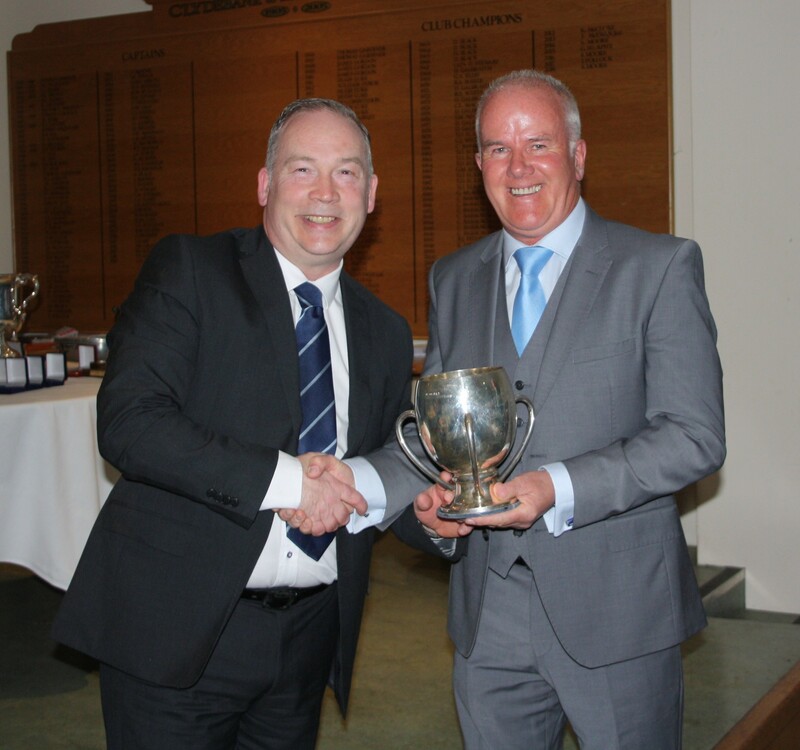 Fourball Champions – Douglas Park Golf Club, trophy collected by Ian Stokes on behalf of himself and Scott McMillan.